When we were in Idaho last month, Nathan won about 20 miniature dinosaurs at an arcade. 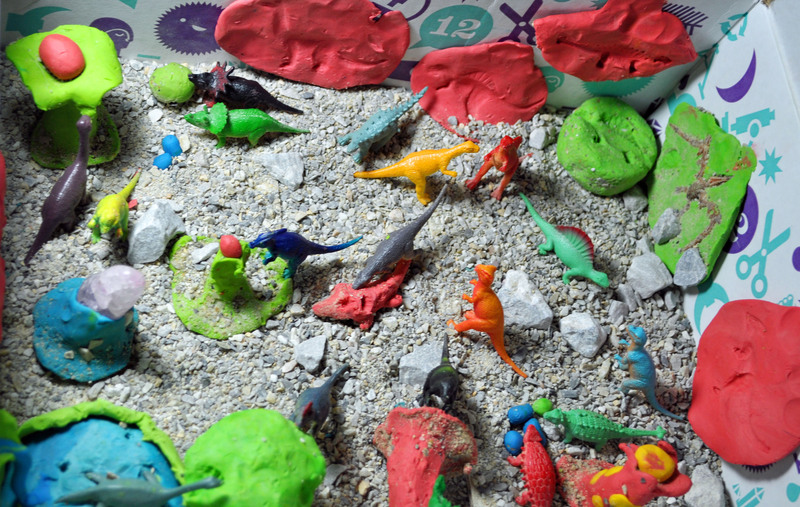 After we got back home, the kids created their own little “Dinotopia” with clay, the mini dinosaurs and some crushed rock. They had a lot of fun putting it together and the finished project turned out incredible! And very colorful. This entry was posted in Photo Challenge, weekly photo challenge and tagged contrasts, dinosaurs, postaday, Weekly Photo Challenge. Bookmark the permalink. It is amazing how creative they are. Why do we seem to lose that as we get older? So much fun. Reminds me of some science projects I’ve seen! I love these little projects, especially when they come up with them on their own. Aren’t they fun? They even have dino eggs and a fountain that they filled with water.